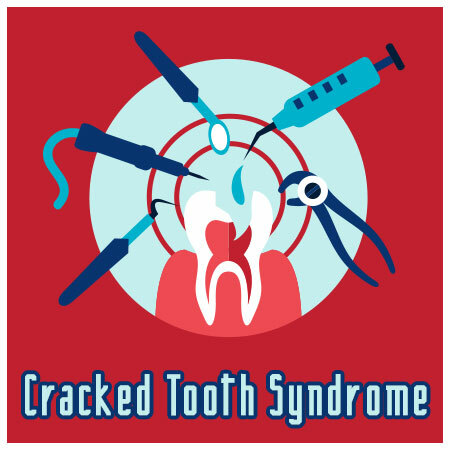 Cracked tooth syndrome (CTS), also known as cracked cusp syndrome or split tooth syndrome, is a painful condition that results from a crack in one of your teeth. CTS can mean anything from a tiny hairline split in the crown to a fracture that goes all the way to the root. If you have a nasty toothache and remember biting down on something hard, it’s time to call Dr. Miller. Don’t worry though, because the dental professionals at Discovery Dental are committed to giving you the best oral care that Shelby has to offer. To find out more about cracked tooth syndrome, read on. No one in Shelby should have to deal with the pain and inconvenience of a cracked tooth. In addition to being extremely uncomfortable, CTS may allow nasty bacteria into the root and/or pulp chamber of the tooth. At that point, a root canal or even extraction will likely be necessary. If you think you have cracked tooth syndrome, visit Dr. Miller before it becomes serious! If you have any questions or would like to schedule an appointment, call Discovery Dental at 419-342‑4217 today.